After earning "Top of the Fringe" and "Best of Comedy" at this year's Hollywood Fringe Festival, Lost Moon Radio comes to KPCC's Crawford Family Forum with an hour of original sketches and songs exploring elections, politics, and the American psyche. Each installment of Lost Moon Radio follows the adventures of local DJ Jupiter Jack, a remnant of the 1970's who now hosts a show on KBRK, a local NPR affiliate housed at CalState Burbank. As Jack "spins" songs for his listeners, what the audience sees are sketches and songs performed live by onstage actors and a 4-piece band. 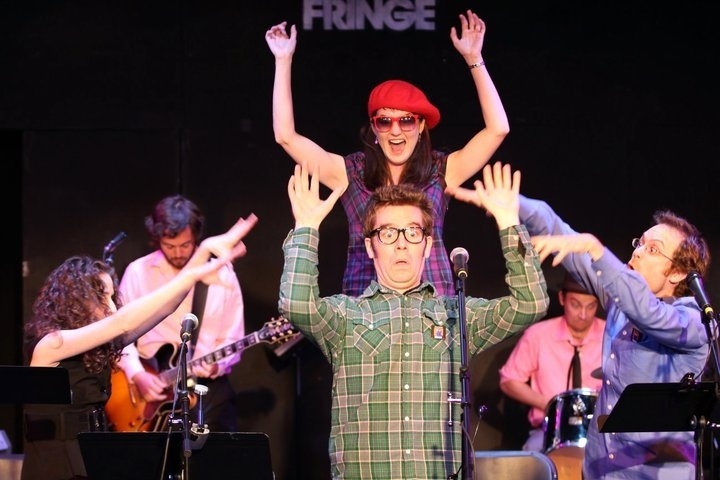 Described as “The Groundlings but with a better batting average" (Stage and Cinema), the show is part comedy show, part rock concert, and part metaphysical meditation. It's a unique, "not to be missed" (LA Weekly) concoction unlike any other live performance in Los Angeles.